Located in the heart of Baton Rouge’s mid-city district, Soji serves up the neon flavors of Asia in a delightfully hip eatery. Restaurateur Chase Lyons and acclaimed Chef Ryan Andre bonded over their passion for asian street food. After traveling the world and studying recipes across continents, the duo became famous for their pop-up dinners that featured modern takes on cross-cultural asian dishes. It wasn’t long before a restaurant concept was in the works. But this restaurant needed a name – and a brand – one that would stand out amongst Louisiana’s highly competitive, and often conventional, food scene. 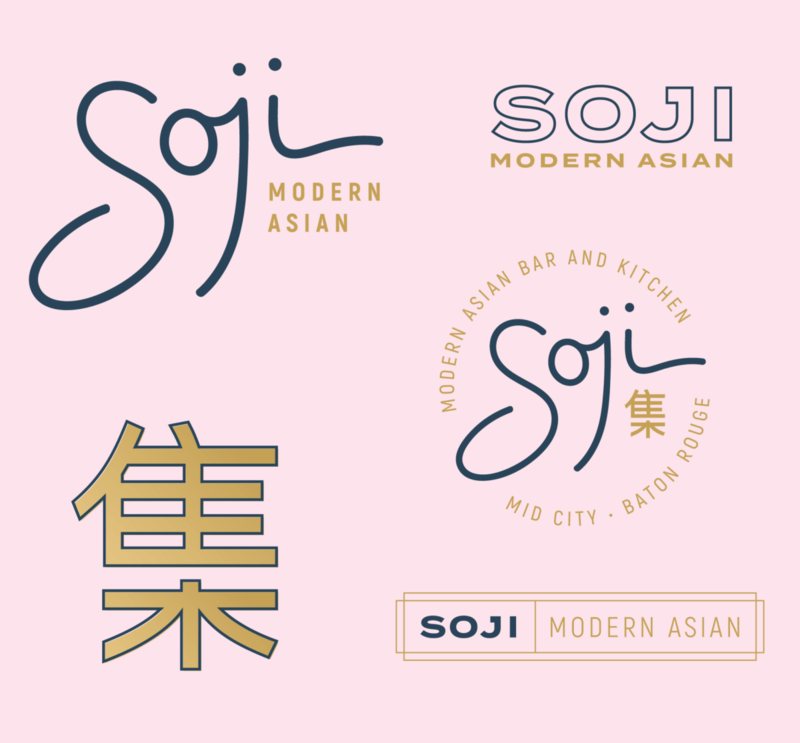 We started with the name – a creative take on the chinese word for “gather.” Soji: a name that immediately contextualizes the brand’s cuisine without carrying any stigma or preconceptions. We then crafted a brand around this concept, nailing down the purpose, positioning, personality, and voice. We established messaging guidelines and built out the visual identity from scratch. The logo, an elegantly-lettered mark, may appear subtle if not for the screaming hot pink neon color palette. 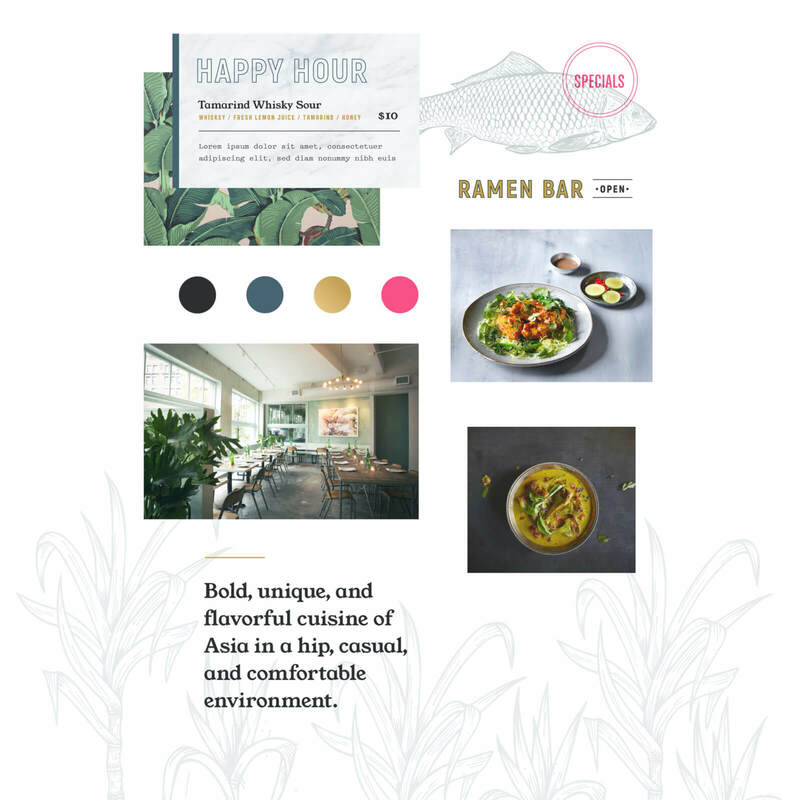 We then expanded the visual brand system to encompass the whole of the restaurant experience, starting at the menu and ending at the bamboo-leaf wall paper lining the restrooms. The brand system seeks to communicate an unapologetically hip personality that simultaneously holds a deep reverence for ancient tradition. Dreamy, washed-out West Coast color palettes paired with rich textures and neon embellishments became the foundation of our style exploration.